Product prices and availability are accurate as of 2018-06-18 18:46:06 UTC and are subject to change. Any price and availability information displayed on http://www.amazon.com/ at the time of purchase will apply to the purchase of this product. A fashion ring and clutch in one? Yes, please! b.m.c's Free Spirit Collection are one ring, knuckle duster inspired, clutches that will make any fashionista go gaga for its dual accessory design. Eloquent, yet playful, these handbags are a perfect way to top off any outfit you can think of. 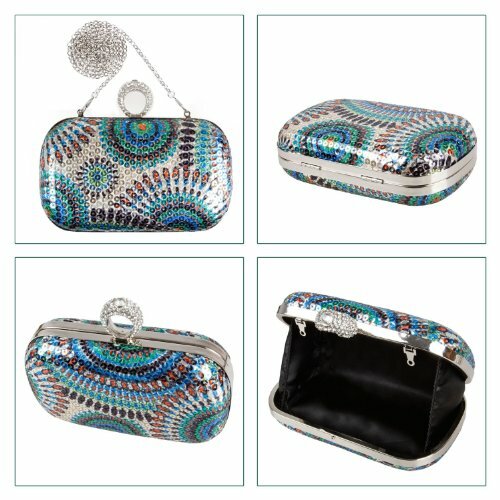 Each clutch comes with one rhinestone studded ring on top of its opening that acts as your handle and your closure clasp. 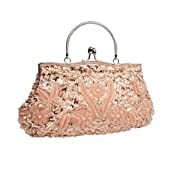 These purses come in 5 exceptional colored patterns: Wild Child, Sun Kissed, Sultry Temptress, Radiant Joy and Party Girl, and the shell of these clutch are lined with clear sequins to accentuate the already vivid colors of the designs. 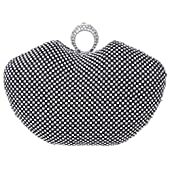 If you do not feel like holding on to and flashin' the bling ring, this clutch come with a 47.3 in. (approx.) chained shoulder strap to free up your hands for drifting where ever the night take you. 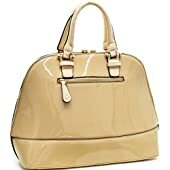 This attention grabbing handbags measure out to be approximately: 6.6 in. (L) x 1.8 in. (W) x 4.4 in. (H) and has an interior lining of black satin fabric. *NOTE*: Due to differences between monitor displays, actual color may vary slightly from image. b.m.c is a registered trademark of Remi Collections LLC and is exclusively distributed by Bundle Monster. The b.m.c trademark is protected by US Trademark Law. Our Free Spirit Collection of clutches will have you dazzling people with your gorgeous ring/clutch combo that is every fashionista's dream come true! 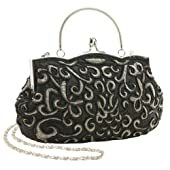 All clutches come with a rhinestone studded ring that is your clutches handle and closure clasp. All 5 flower designed clutches have an awe-inspiring mix of color choices in: Wild Child, Sun Kissed, Sultry Temptress, Radiant Joy, and Party Girl. 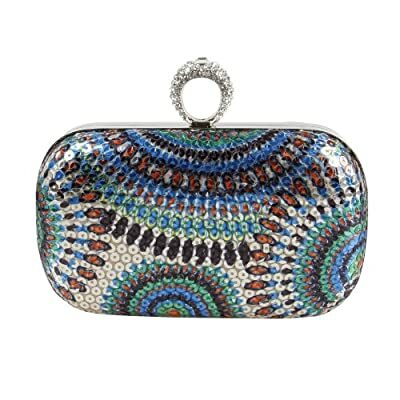 If you do not feel like flashin' the bling ring, this clutch come with a 47.3 in. chained shoulder strap to free up your hands for drifting where ever the night take you. The inside of the clutch is finished with a black satin fabric and the entire handbag measures: 6.6 in. (L) x 1.8 in. (W) x 4.4 in. (H).